When someone posts to a rare bird alert a sighting that occurred outside of the specific designation area (a Rhode Island bird on Connecticut Rare Bird Alert, for example) they call it extralimital. Well, this post is extralimital in that the photos were not taken in New England, but rather on Assateague Island during a recent visit to the Maryland beaches. I got up well before sunrise and arrived at a spot as dawn was breaking where hundreds upon hundreds of waders could be seen in the shallow marsh ponds. I walked to the edge of a short wooden walkway to get a different angle of the sunrise. 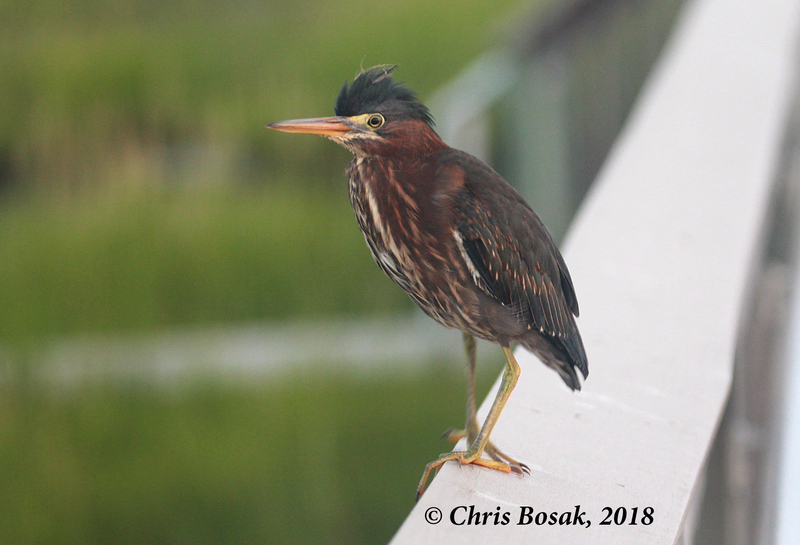 As I turned to walk back along the walkway I was caught off guard by a green heron literally feet away from me on the railing. 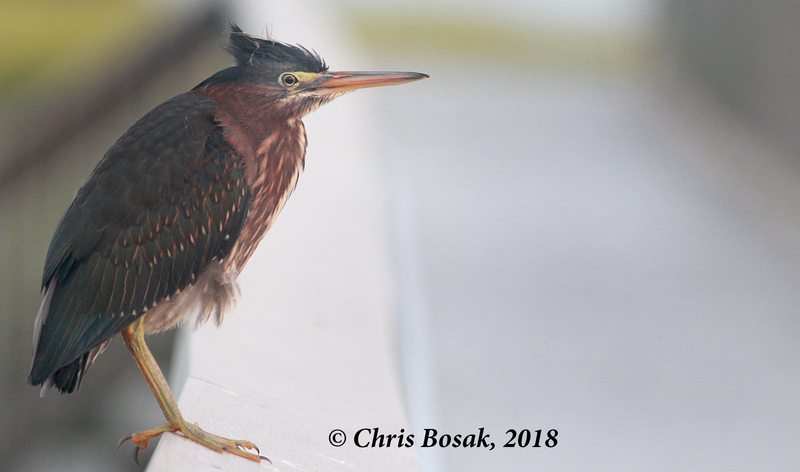 The New England green herons I’ve seen and photographed over the years have been very wary. They certainly aren’t approaching me to within a few feet. Well, this bird did. So, of course, I took a bunch of photos of it. Here are a few.